On the heels of the City of Red Deer‘s bid for the 2018 Canadian Finals Rodeo, it seems fitting to feature one of rodeo’s greatest builders, Innisfail’s Jack Daines. 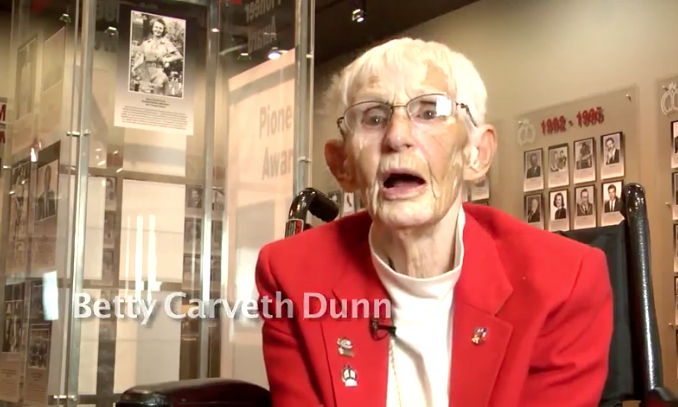 We invite you to watch the video produced for Jack’s induction into the Alberta Sports Hall of Fame and Museum in 2009. For years we have heard Jack’s voice all over the radio promoting the Innisfail Auction Mart and the sport of Rodeo. Jack Daines’ love for rodeo events began at an early age when he competed in boys steer riding. He won the Canadian Novice Saddle Bronc title in 1956 and 1957. He began his announcing career during the same rodeos that he was competing in. Since then, Jack has announced at the Canadian Finals Rodeo, the Calgary Stampede, and at rodeos in British Columbia, Alberta, Saskatchewan, Manitoba, Ontario and the United States. Jack Daines lives and breathes rodeo and he has made outstanding contributions to the sport for more than 50 years. In 1961, Jack was at the top of his bronc riding career when he built the Daines Ranch Rodeo grounds with the help of his teenage brothers. Each year, rain or shine, there is always a rodeo at the Daines Ranch. He introduced the children’s mutton busting event at their rodeo and the event has now become a part of rodeos all around the world. Jack also started the Innisfail Professional Rodeo and the Innisfail Bucking Horse Sale. He was instrumental in developing the Alberta Professional Rodeo circuit and secured sponsorships and awards for Alberta cowboys. Jack continues to spend endless hours on behalf of rodeo as an advisor, promoter, announcer and producer. Jack was named the 1990 Committee Man of the Year by the Canadian Professional Rodeo Association and was awarded the Alberta Centennial Medal in 2005. He was honoured as one of the 125 Greatest Citizens of Alberta by the Calgary Herald in 2008. Jack was inducted into in the Canadian Pro Rodeo Hall of Fame in 2000 and his son Duane followed in 2004. Father and son are together again, as Jack joins Duane as an honoured member in the Alberta Sports Hall of Fame. Jack Daines announced his retirement in June 2014 from planning and organizing the annual Innisfail Professional Rodeo. The event has been held for close to 6 decades! 2008 – 125 Greatest Citizens of Alberta by the Calgary Herald. 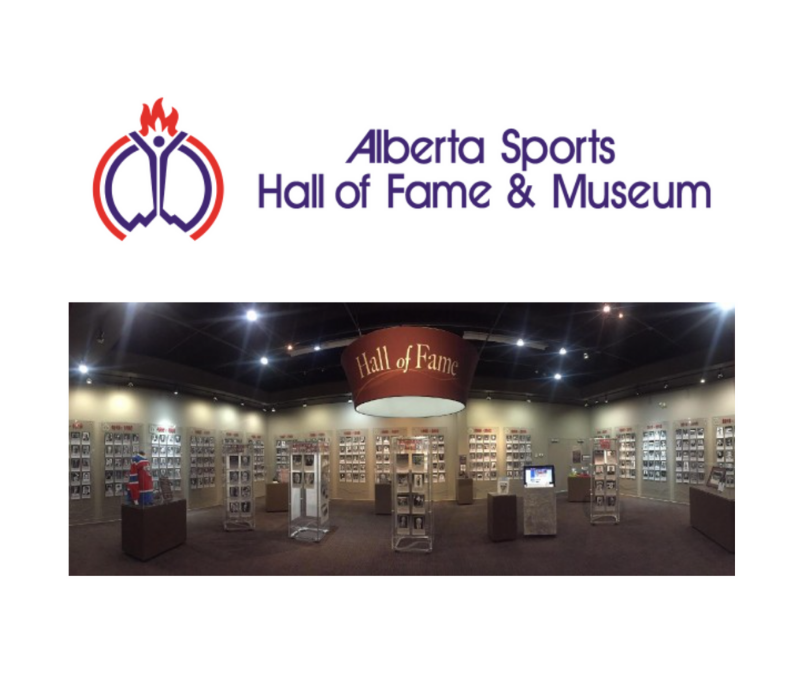 The Alberta Sports Hall of Fame and Museum provides a family friendly interactive experience. Be surprised at what you will discover inside. Have fun, laugh, play together and discover famous Alberta sports celebrities. Plan your birthday party, special events or corporate reception in a unique environment. 2019​ ​Canada​ ​Winter​ ​Games​ ​Gear​ ​Available​ ​at​ ​Bower​ ​Place!